The Records Department is not authorized to interpret the legal status of any case. Uncertified copies are $0.50 per page and may be purchased from the Clerk's Office intake window from 9:00 a.m. to 4:00 p.m., Monday through Friday. Certifications are charged at $11.00 per document, and an additional $0.50 per page. Only copies of original court documents on file can be certified. Effective October 1, 2015, once you have submitted your copy request for court documents and have paid the fee, the clerk will notify you by telephone or email when your copy order is available for pick-up. After this notification takes place, you have thirty (30) calendar days to pick up your order. If you do not pick up your order within the thirty-day period, your order will be destroyed and any fees previously collected by the clerk will be forfeited. If you wish to obtain copies of the same documents previously ordered after the thirty-day period, you must initiate a new copy request and pay any fees associated with your order. For retrieval of one box of records from the Federal Records Center, a $64.00 non-refundable fee is required. For retrievals involving multiple boxes, a $39.00 fee for each additional box is required. To determine if a case is archived, please contact the records department by email at: records_cacd@cacd.uscourts.gov. 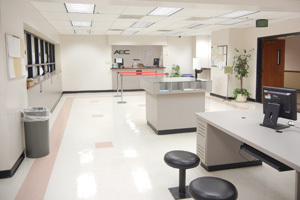 SmartScan refers to a Federal Records Center service that includes locating and pulling paper records, scanning them, performing quality control procedures, saving scanned copy in PDF format, and transmitting the file to the court via email. This service is now available to the public through the District Court’s Records Department. The cost for a SmartScan request is a base charge of $19.90, plus a $0.65 charge per PDF page. Once the fees for the request are paid for, the Records Clerk will e-mail the document in PDF format to the e-mail address which you provide. Which documents are eligible for SmartScan? All non-sealed/non-restricted case files in the custody of the FRC are eligible for SmartScan. Is there a limit on the volume of pages eligible for processing through SmartScan? Yes. A SmartScan service request is limited to a maximum of 100 pages. A requirement cannot be parsed into multiple100-page requests. For example, a 175-page document cannot be processed by splitting the requirement into two separate orders, one for 100 pages and the other for 75. Does the SmartScan service fee replace the current $64 paper records retrieval fee? No. The SmartScan service fee is a new alternative to the paper records retrieval fee. What is the anticipated turn-around time for this service? According to the FRC the request may take one to seven business days. Can I request a file directly from a Federal Records Center? No, the FRC will only accept requests from the Court. You must contact the Court’s Records Department and place your order through the Clerk. A non-refundable fee of $31.00 will be charged for any name index searched. Please provide exact name to search, time frame; date of birth; Social Security Number, and case type/s (criminal and/or civil). A certificate of search will be provided upon completion of index. Form G-54. Please contact the National Archives and Records Administration (NARA) at (951) 956-2000, via email: Riverside.Archives@NARA.gov for further assistance. A non-refundable fee of $22.00 will be charged for any exemplifications, and an additional $0.50 per page, and $11.00 for certification of the document if needed. Apostille services are only provided for court documents pertaining to the United States District Court for the Central District of California. A non-refundable fee of $22.00 is required to process this service. For copies of transcripts, please contact the Court Reporter’s Office General Information Line: 213-894-3015. The records department will not process your request until full payment is received. 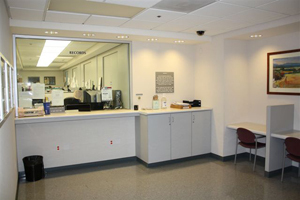 If counsel are required to use the court's exhibit tags, the tags can be obtained from the Clerk’s Office Records Department in Los Angeles, Santa Ana, Riverside, or from the United States District Court Customer Service window at the 1st Street Courthouse. Please make remittance in the form of a cashier’s check, certified bank check, business or corporate check, or a money order drawn on a major American bank or the United States Postal Service, payable to "Clerk, U.S. District Court." See a complete list of fees. Personal checks or checks drawn on non-business accounts will not be accepted. 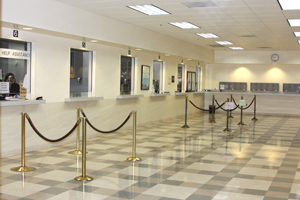 Credit card payments are only accepted in-person at the Intake window located at the Roybal Courthouse, Santa Ana Courthouse, and Riverside Courthouse. Office hours for all three divisions: 9:00 a.m. to 4:00 p.m., Monday through Friday, with the exception of federal holidays. Use two digit numbers for the year. We invite customers to take advantage of the “Public Access to Court Electronic Records” or PACER service. PACER is a browser based electronic retrieval system that provides criminal and civil summaries and docket information using a computer terminal. PACER also provides access to scanned civil judgments, order and minute orders. To establish a PACER account, contact the PACER Service Center at http://pacer.psc.uscourts.gov/ or 800-676-6856. If you are in the Los Angeles area, you are welcome to come into our offices at 255 East Temple Street, Suite 180 (corner of Temple and San Pedro), to search our public computer terminals for the information you are seeking. Once found, you may arrange for the copy service to prepare uncertified copies. The United States District Court for the Central District of California, only handles federal cases within its jurisdiction. Cases outside of this jurisdiction must be obtained from the appropriate agency. Please verify the jurisdiction of your case, you can refer to the following websites for further information.